Kath Ka Ullu Novel Authored by M.A Rahat۔ The present novel “کاٹھ کا الو” is another remarkable and tremendous novel of M.A Rahat a creative writer. This novel contains an interesting social crimes, investigation and moral reforming story in Urdu language. The story of this novel gripping romance, action, adventure, comic, fiction and fantasy. This novel is divided in to 4 complete novels i.e. Asli Waris, Gol Mall, Kath Ka Ullu and Akhri Saboot. If you haven’t read this novel yet… you have missed your train to high quality literature. 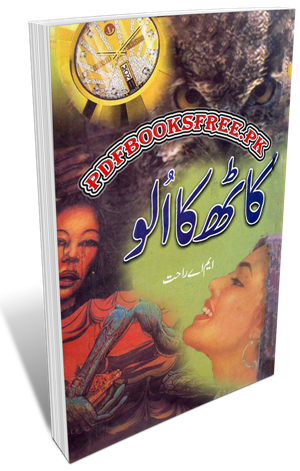 Urdu novel “Kaath Ka Ullu” is now available here on Pakistan virtual library for online reading and download. Check out the following links to read online or download the complete book in high quality Pdf document format and enjoy offline reading.